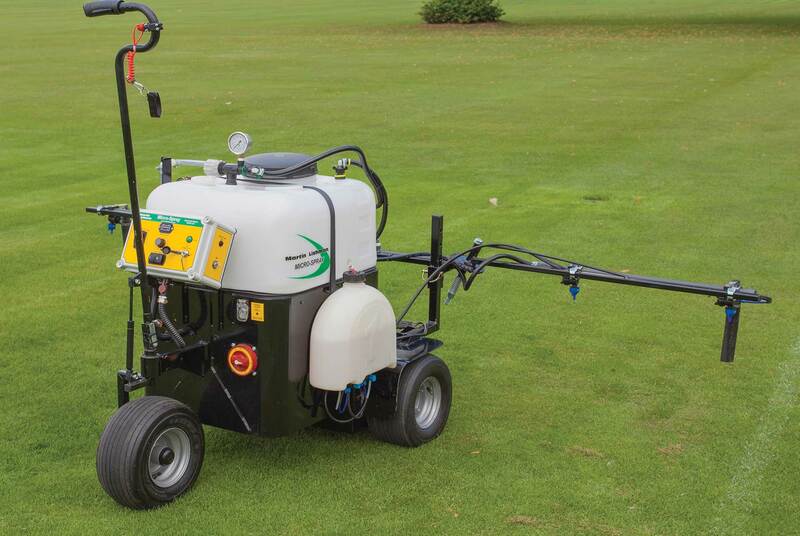 Combining control and power with responsive easy handling, the Martin Lishman Micro-Spray pedestrian sprayer is designed for all types of sports grounds, golf courses and landscaping work. 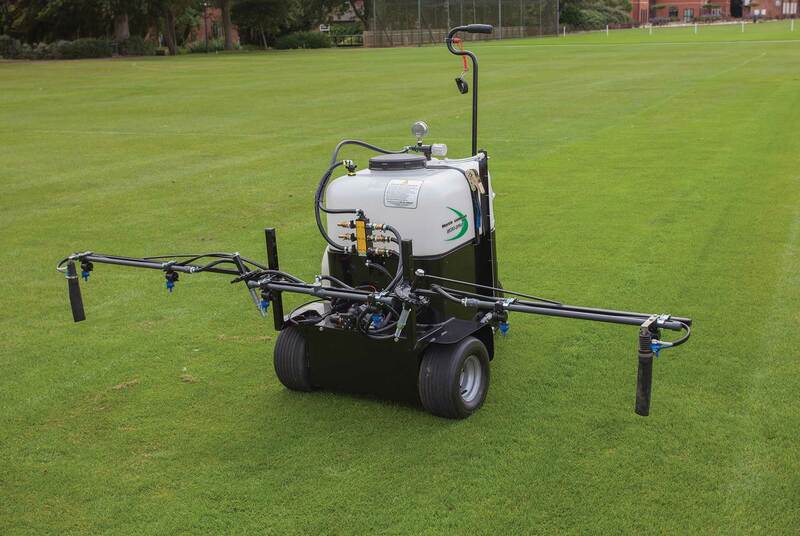 The Micro-Spray brings a new concept in spraying versatility to the groundsman’s armoury. First launched in 2011, the Micro-Spray now comes with an upgraded specification, making it more versatile in a wider range of situations. 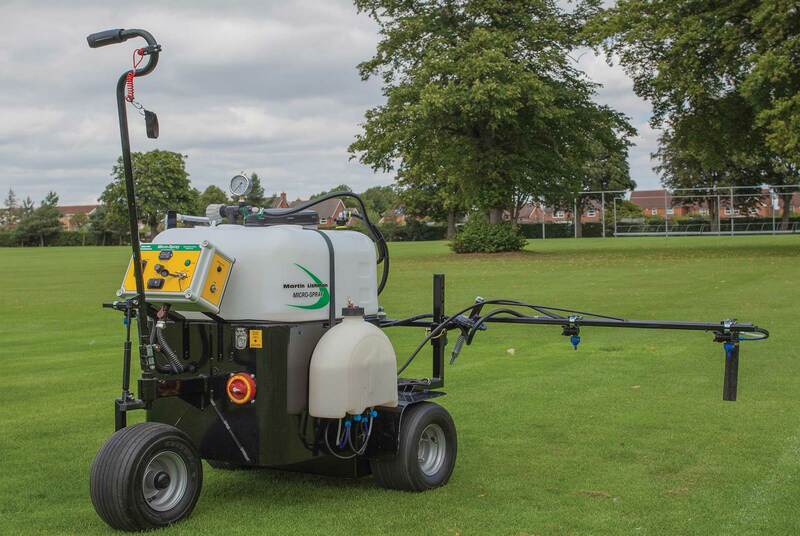 A 120 litre tank with a 2.5m 6 nozzle, 3 section folding boom with break back and height adjustment, independent shut-off nozzle bodies and reduced drift air inclusion nozzles will suit the majority of spraying situations. An optional hand lance for spot treatments and a bout marker are also available. The Micro-Spray has a narrow footprint so it can fit through most gateways and passageways to tackle hard to reach spraying areas. The design ensures it also has a low centre of gravity. The comprehensive yet easy to use control box gives the operator more control over the sprayer with changeable motor direction to either walk behind or in front of the sprayer, 12 motor speeds, bout marker selection and a battery level indicator.